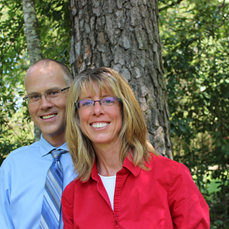 Mike and Amy Krueger are lifestyle educators who have a desire to help others make lifestyle changes in order to achieve total health. Amy is an RN with eighteen plus years of experience. She has seen people suffering from heart disease, diabetes, obesity, cancer, strokes, and other lifestyle illnesses. Her desire is to help people get well and provide education to prevent disease. Mike was a certified personal trainer and is currently working on an exercise therapist certification. He has done health coaching and also finds joy in helping others obtain optimal mental, physical, and spiritual health. Mike and Amy completed the Health Minister Training Course at Hallelujah Acres in 2007. They also completed the Lifestyle Educator Course at Uchee Pines in June of 2015. They have held plant based cooking classes, given classes on hydrotherapy, and have done health lectures. Educating others is a big part of their ministry. Picture posted on Flickr under this Creative Commons license by Vasile Hurghis.